A “crafts fair” typically refers to a retail show where the crafts artist sells directly to the consumer. This is distinguished from a “trade show,” a wholesale show where the artist takes orders from retailers. Crafts shows pose unique problems. For example, while attending one outdoor crafts show, we watched customers quickly disappear as a Bible-toting evangelist confronted them about sin and damnation. For two hours he continued while the ten booths in the vicinity saw little or no sales. The crafts show promoters explained that they could do nothing, because the law guaranteed the man the right of free speech in a public place. At another outdoor crafts show, we watched sales dissipate when the smoke from a nearby barbecue stand poured through a line of booths. Another time, participants at a crafts fair spent many hours in the dark after the electricity blew out in the convention center. Prohibition on refund of booth fees. Many crafts show agreements contain a provision stating that there will be no refund of exhibit space fees. In other words, if you cancel at the last minute and the promoter is able to find a replacement for your booth, you still won’t get your money back. Penalties for unqualified exhibitors. 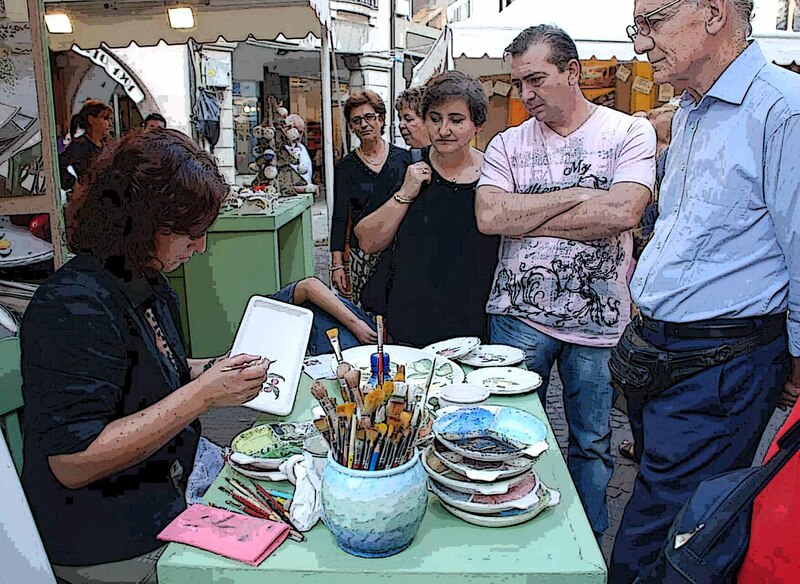 Crafts show agreements often contain language allowing the promoter to remove the exhibit if it is not “up to show standards.” This arbitrary standard gives the promoter a lot of bargaining power in the event of a dispute. Beware, enforcement of this rule may be inconsistent. No recourse for lack of promotion. If a show is not properly promoted, there’s not much that a crafts artist can do. Crafts show agreements sometimes contain statements indicating that the promoter makes no promises as to sales or attendance.